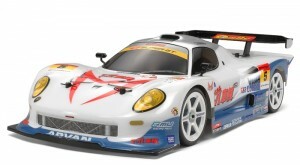 Japanese company Tamiya is known for its vehicle model kits. To promote the company in Thailand, it released name cards that double as sample model kits. Letters and numbers on this card can be snapped off and assembled into a simple car or airplane model. It appears this is a limited run meant for shops in Thailand only. But it’s a great idea and really defines the identity of the company. 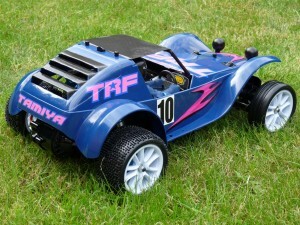 This entry was posted in Tamiya Company on August 27, 2010 by admin. in similarity to Alice Coopers 1972 “School’s Out” song. Why is Holiday out? Because now at the end of summer 2010 the Holiday Buggy is out again to get more young kids into this marvellous hobby like it took me in 1983. 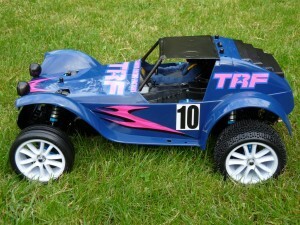 Because I decided to make my first HB 2010 not an innocent buggy for holidays but a capable performer, something I always wanted as a kid when other buggies were faster and better performing (being a big HB fan I have more HB 2010 projects in the pipeline, so stay tuned). 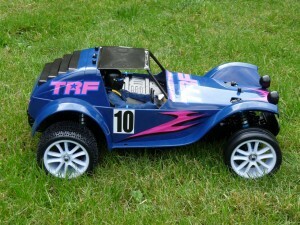 Actually I had different plans with this “racing HB”, but as 3 different primers I tested didn’t hold acceptably for a powerful runner , I stayed on the original blue colour, matched with pink decals, in similarity to the blue/pink TRF car paint schemes. To give it a more racing look and to reduce weight and especially centre of gravity, a lighter driver cockpit and lexan roof in carbon fibre look were adapted to the body. Race wheels and tires, aluminium oil dampers and uprights, universal shafts, ball differential and hotter motor with metal mount were added for better chassis performance and to match the body colour with their blue anodizing. Initially there were quite a lot of negative voices to this release as many people took or expected it more as a classic re-release. Looking at its simple but genius construction and manual you realize its not just a re-release but more a great and nice-priced beginners car which performs tons better then the old one and can be easily improved even further but still looks nice and isn’t just a generic lexan blob. When I was taking photos of it for this article sometimes the automatic face detection was activated with its front 2 headlights. I think this tells a lot about its personality. When I was a kid the 2 front headlights with the blue-yellow front stripes reminded me of a smiling face. I can’t wait to run my new one now and being a kid again, 27 summers after. This entry was posted in Customized Builds on August 21, 2010 by admin. This entry was posted in Event Report, Media on August 16, 2010 by admin. Introducing this year’s Super ★ GT300 class fighting machine. Reproduced in full body low and wide form realize ★ The polycarbonate is just as distinctive shape Riyaendo separate parts. ★ The distinctive marking stickers available. 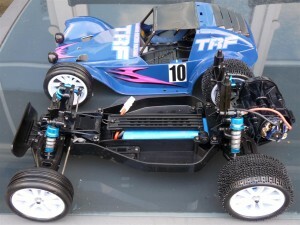 ★ The 2-belt drive chassis of the 4WD TA05 ver.II isometric adopted. You can enjoy high performance driving. 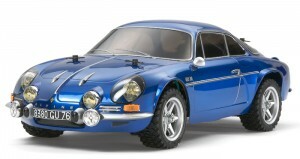 Alpine sports cars of the former as a popular ★ A110 is compact and lightweight, M-05Ra Chassis uses it appeared. Increase the height ★, skid and come standard with side guards and rally block tires, choosing a street light can enjoy driving. ★ The polycarbonate body realistically. 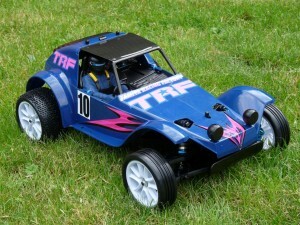 Handling characteristics of the controller cable ★ 4WD chassis, TT-01 TYPE-ES is the appearance in the finished assembled. 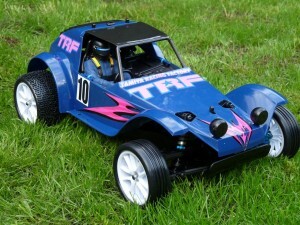 Of course, receiver and servo, ESC and radio and comes preloaded RC. Has set the trigger type transmitter wheel. Reshingusupotsutaiya even tread wear real silver 10-spoke wheels ★. Body ※, battery, charger, please purchase separately. This entry was posted in Future Releases on August 6, 2010 by admin.